sunsets | .Rob Peterson of RP Photography. Once our home is done (wait, what – it’s not done yet?! ), this will be the view from the front door. Granted, it won’t always look like this, but this time of year it will look like this. I’ve always been strangely fascinated by the slight movement of the sunrise and sunset over the course of the year in relation to static objects on the ground. So, this summer, I’ll post another at this angle/direction and relative time of the day and we’ll see where the sun is located against the silos. 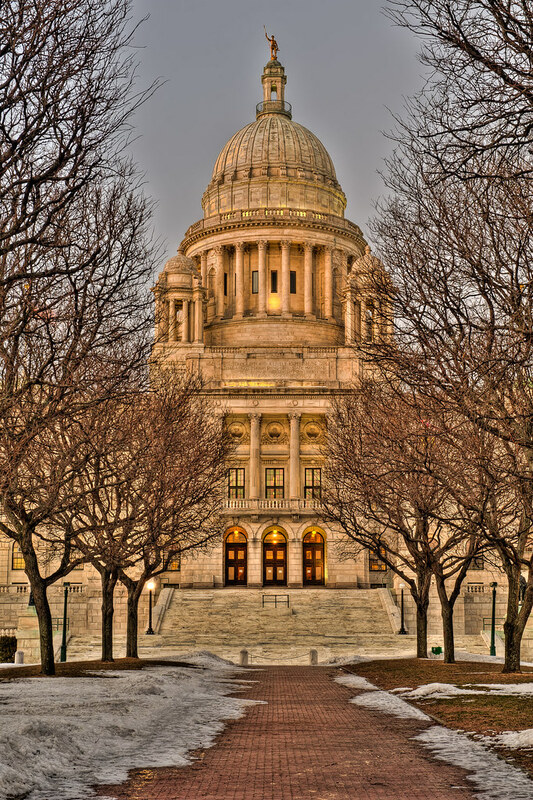 Walking around Providence with my good friend REH, we had to stop and take a few brackets of the capitol building. No brainer, right? Especially with the beautiful light from the sun setting… Of course, this is when a TS lens would have come in handy! From the Elizabethtown Fair a few weeks ago… the giant (I use the word loosely) ferris wheel. It is always an awesome time walking around fairs – especially as it gets dark. Both the lights and the people come out!